Canadian Natural Resources (CNRL) says productivity at its Kirby North construction site is progressing better than planned, bringing the first-oil date to the fourth quarter of next year, about 3 months ahead of schedule. 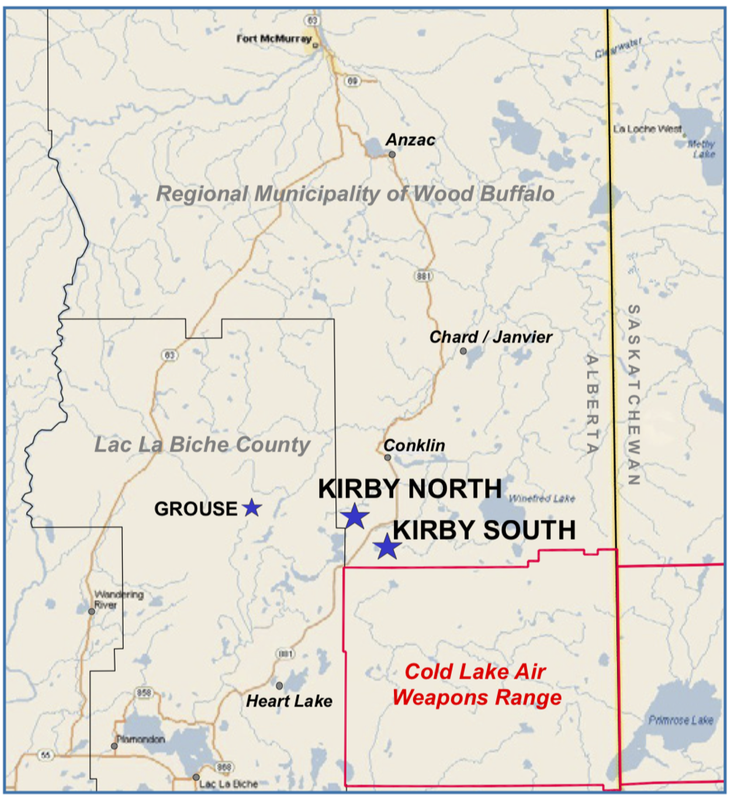 Kirby North is the second expansion of the Kirby oil sands lease, located 85 km northeast of Lac La Biche in the Athabasca region. The original facility, Kirby South, began operating in 2013, using steam-assisted gravity drainage (SAGD) to extract bitumen from the McMurray and Wibiskaw formations. Kirby South has a nameplate capacity of 40,000 bbl/day but averaged closer to 36,000 bbl/day in 2017, producing heavy thermal bitumen which is diluted and sold to market. CNRL began construction of the 40,000 bbl/day Kirby North expansion in the spring of 2014, shortly after receiving regulatory approval from the Alberta Energy Regulator (AER). The project was shelved one year later as oil prices began free-falling. After sharpening their pencils and finding ways to lower capital costs, construction of the SAGD facility resumed late last year. The company says the expansion is tracking on budget with 95% of the Central Processing Facility (CPF) equipment already on site and drilling almost 45% complete. Kirby North has an estimated capital cost of $650 million, with $465 million projected to be spent this year alone. When completed, Kirby North will consist of 60 producer and injector well pairs. The wells will be on average 9% longer than the original SAGD facility to the south, reducing drilling costs by 12%. Kirby North deposit holds more than double the reserves of Kirby South, estimated at 371 million proved and probable (2P) reserves. Kirby South averaged 35,322 bbl/day in the second quarter of this year, down 5% from the same quarter last year due to planned maintenance activities. The shutdown cut production by about 700 bbl/day. Including energy, operating costs at the SAGD facility were reported at $9.12/bbl, down 11% y/y. CNRL's total thermal bitumen production, which includes the Primrose/Wolf Lake facility in Cold Lake, and newly acquired Peace River asset purchased from Shell, produced about 105,000 bbl/day in Q2, accounting for 10% of the company's total upstream production.